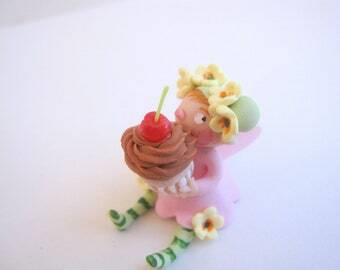 Announcement Handmade fairies from polymer clay, each one is one of a kind. 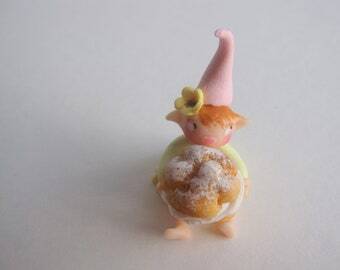 Handmade fairies from polymer clay, each one is one of a kind. So cute!!! Perfection! Very detailed! Highly recommend! Absolutely perfect! Such a cute detailed decoration! Highly recommend! Thank you! Perfection as always. I have about 15 of these fairies! Highly recommend! Perfection as always! Thank you! Highly recommend! Fairies heads and hands in the making. You can visit the atelier in CHENAY in France, in a lovely Champagne vineyards village just five minutes from Reims. I played with clay all my childhood in France through the eighties, and at eleven years old I started earning pocket money from my craft selling at local craft fair with my mother. After I graduated in Literature in 1996, I decided to attempt to realize two of my fantasies, live in England and craft full time for a year having in mind I would eventually go back to a "serious" career. I moved to Oxford and set up my own company in 1997, I did not expect to make enough money to live straight away from my craft, but to my surprise I did. I lived for two years in Oxfordshire, I realized I could live anywhere , and work anywhere, what a luxury ! And then with the internet, my small european business went global. Nearly twenty years later, after a move back to french countryside and two kids later, I am still crafting everyday, and loving it. I have worked with clay since my childhood in the eighties. I started my own company straight after graduating from university, in 1997. 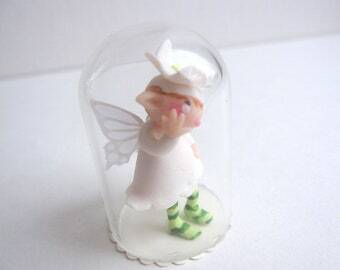 Nearly twenty years ,two children, and a credit crunch later, I am still making and selling fairies.